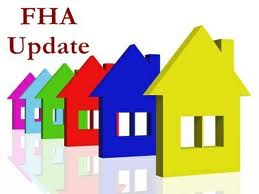 FHA loan limits are going from $400,000 to $287,500. If you have the 680 FICO score and 5% of the purchase price of the home to put down choice #3 is the best loan to have. The payments will be much lower than an FHA loan would be because you wouldn’t have the Mortgage Insurance required on FHA loans and you would be putting down an extra 1.5% more. Contact the Las Vegas New Home Team 702.659.0258 or 702.467.4555 today so we can match you with the right lender to suit your needs. If you only have 3.5% to put down and you’re looking at homes above $287,500 contact us immediately so we can find you the perfect home and get you FHA case file started before it’s too late!